If you need to get your documents, this can be done at any time online. 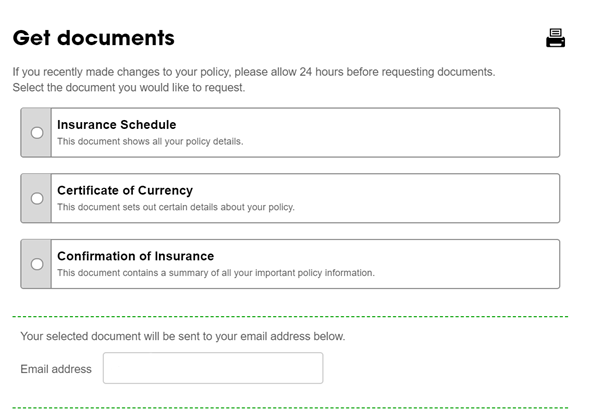 Simply click here to log into your policy and click on the box titled Get documents. That will take you to the following screen where the document options are listed. Click on the one you want and we'll email it to you.